I’ll start by saying I think the NFL is seriously out for a cash grab when it comes to anything related to the Super Bowl®; or the Big Game as I’m supposed to legally call it. 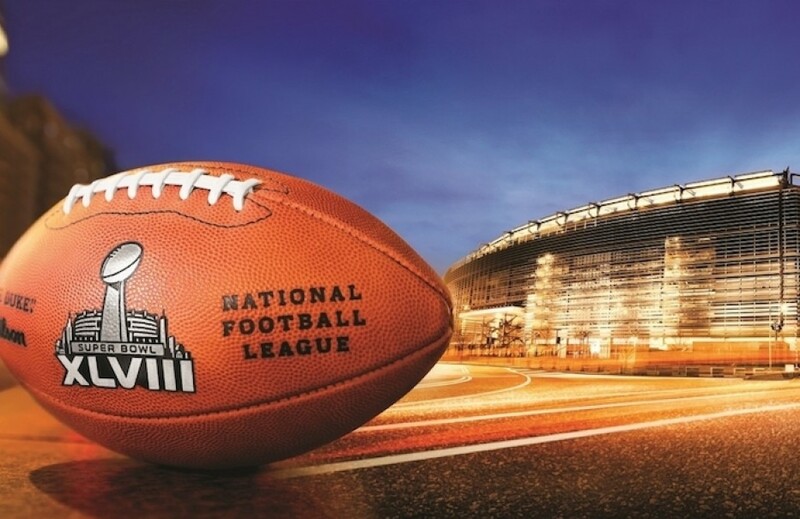 Super Bowl® XLVIII is just around the corner and believe it or not, there are still around 18,000 tickets still available — now marked down to $1150 from $2200 for the cheapest tickets! But let’s look at some of the crazy rules in place for 2014. For “security reasons,” the NFL has issued a few rules to ensure that pulling off such a monumental game in the dead of winter goes off without a hitch. Other than the weather, I would imagine that at least one or two of the following regulations are keeping the fans away this year. NO tailgating – It’s not uncommon for sports teams to ban or severely restrict tailgating these days citing security and safety concerns, so this rule may not be a dealbreaker, but according to the NFL, you may only tailgate within the confines of your own parking space. Some have stated that it must be IN your car. I imagine playing catch and lighting up the grill will not be quite as fun this year. NO walking to the game – You will not be allowed to walk into the stadium from the outside world. No foot traffic will allowed to enter the stadium! It will probably refreshing to not have to deal with those crazy t-shirt hawkers chasing you down all over. NO drop offs – You cannot be dropped off by any vehicle that’s not part of the NFL transit system. All cars entering the stadium grounds will be required to have a parking pass can cannot leave until the game is over. NO taxis or limos – Due to the above rule, nobody will be able to take a cab, limo or any black car service to the game…unless of course, they are staying for the entire game and have a parking pass. So what can you do?! 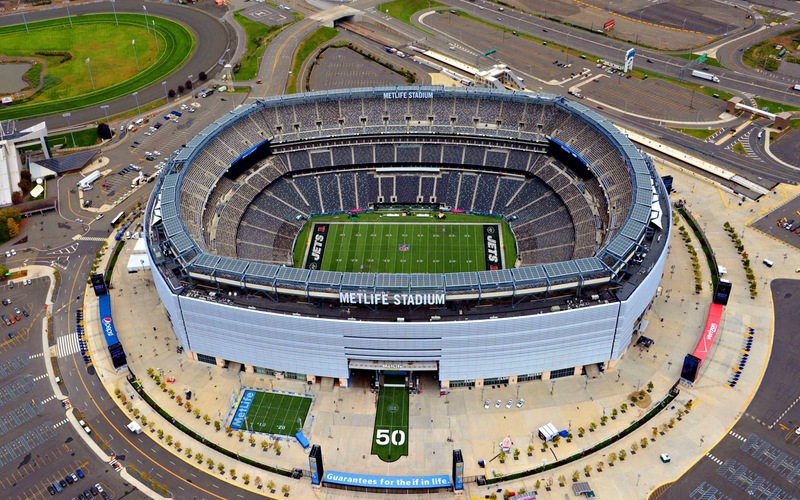 Well since the NFL has chopped you off at the knees, they are providing a shuttle service that can pick you up from 9 locations in the New York/New Jersey area and bring you to MetLife Stadium — all for only $51 per person. Of course, you could just drive your own car, but the parking pass costs $150! 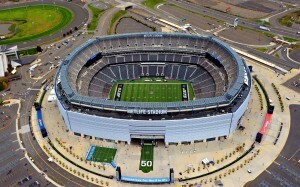 Under normal conditions at MetLife Stadium, you could expect 28,000 parking spaces at a cost of $30 each, but due to all the required equipment and personnel for television, security, emergency and staff, only 13,000 spaces are being made available. Because I’m not much of a sports fan, I would never care enough to spend over $1,000 to attend ANY sports game. In reality, I wouldn’t even spend more than $100! What I’m seeing here is an absurd mess. You would think for the price of the ticket, they’d offer free parking or at least a free shuttle, but the NFL seems to think that they need even more money than they are already going to make on commercial airtime, concessions, tickets, etc. I guess I can’t really complain. After all, they are just capitalists trying to cash in on the popularity of the sport, but good luck selling those extra 18,000 tickets at those prices! You’ll never get my money, NFL.